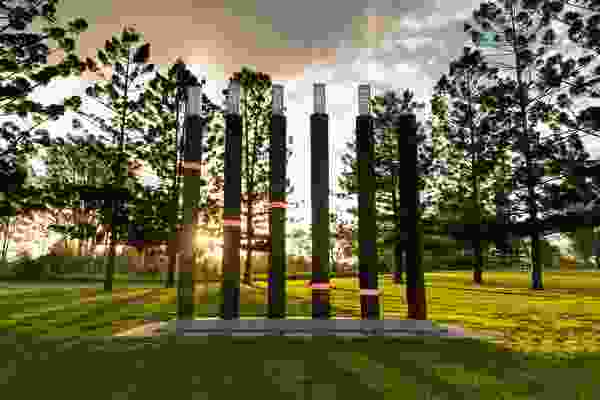 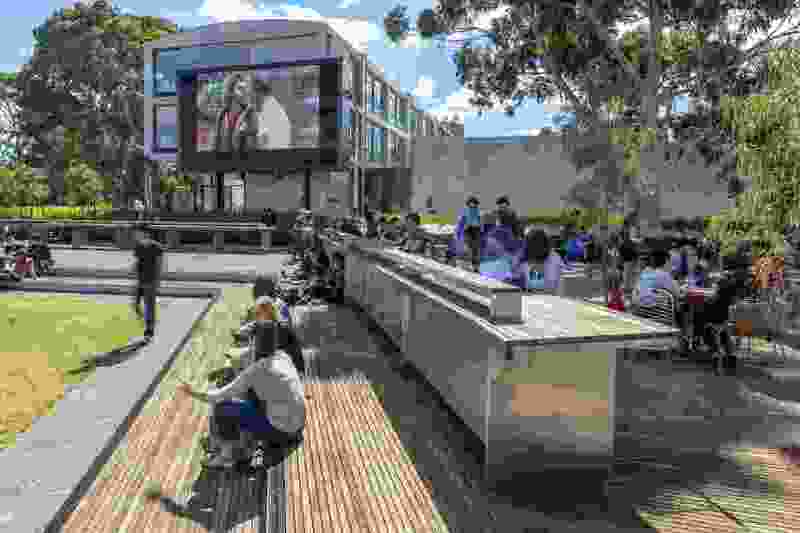 Northern Plaza, Monash University Clayton. From the landscape architect: Contemporary universities are becoming microcosms of our cities. 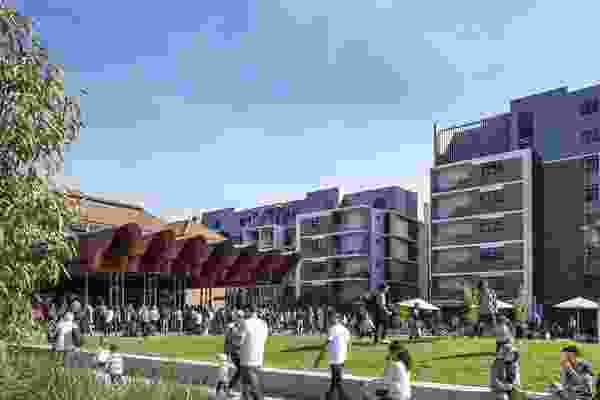 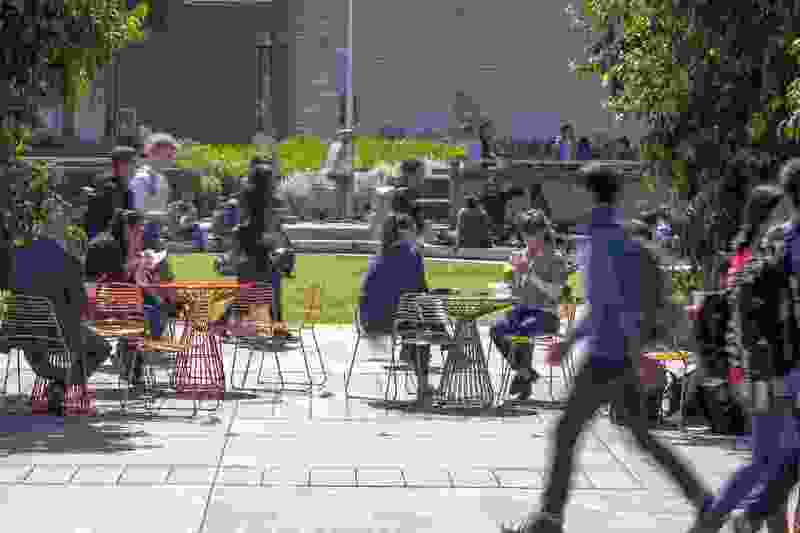 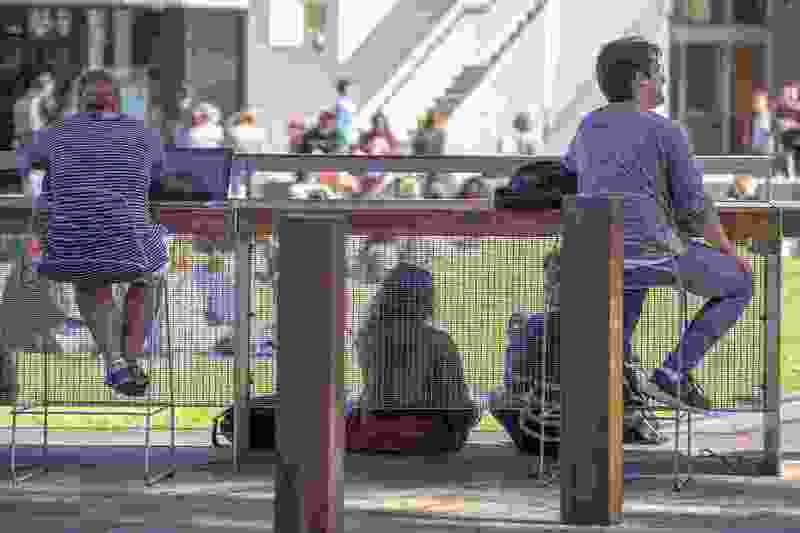 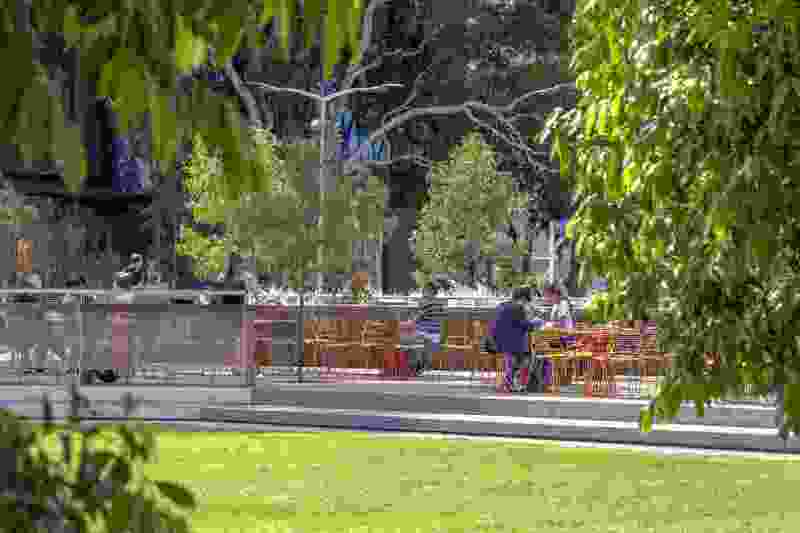 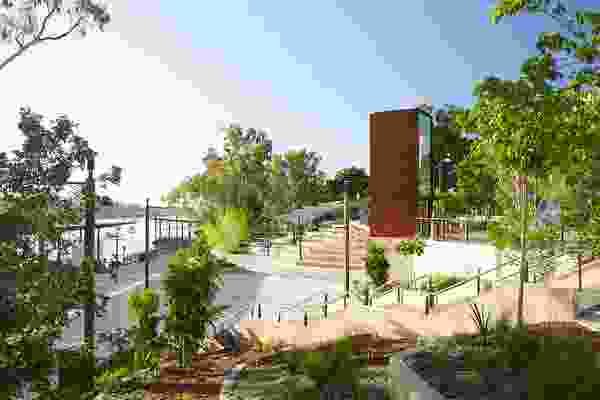 Open spaces are now being developed not as decorative foregrounds to buildings, but to host staff, students and the wider community in myriad ways: whether it is meeting, studying, playing, exercising, partying, dining, promenading or escaping. 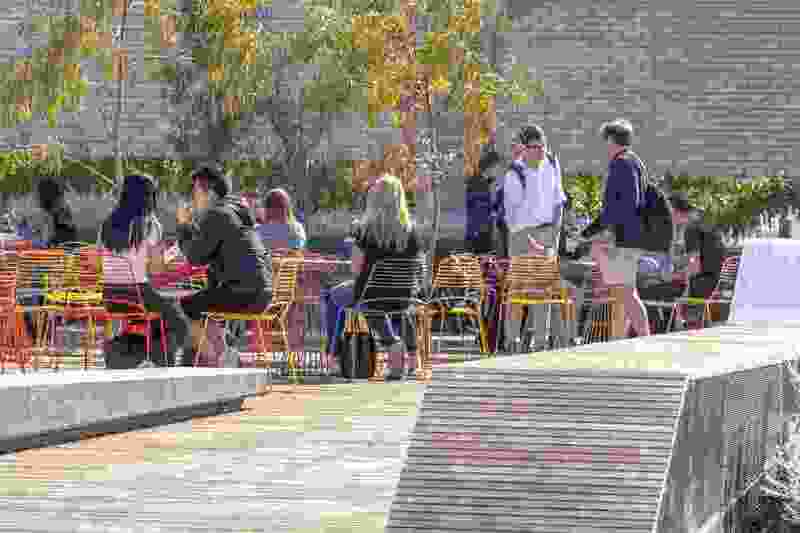 These are social spaces serving increasing student populations, rising on-campus residents, as well as responding to a new 24/7 activated campus paradigm. 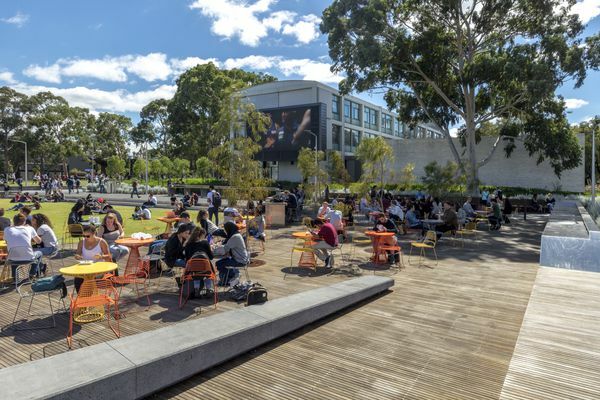 At the heart of Monash University, Clayton is the newly minted Northern Plaza – the dynamic student hub adjacent to the Campus Centre. 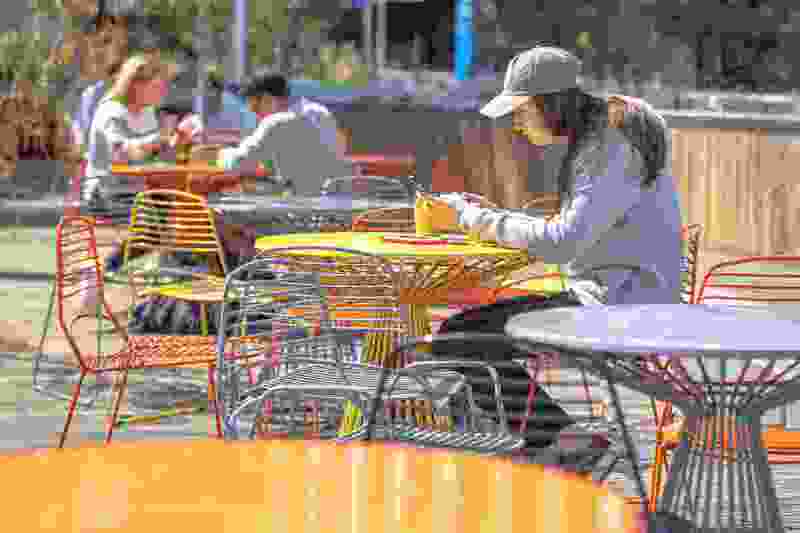 Underpinning this field of student activity are layered strategies for interaction creating a curated canvas of engagement. 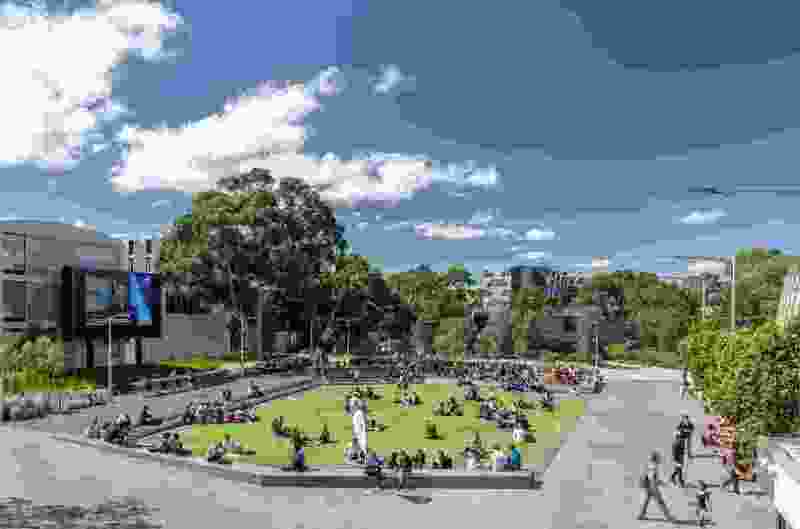 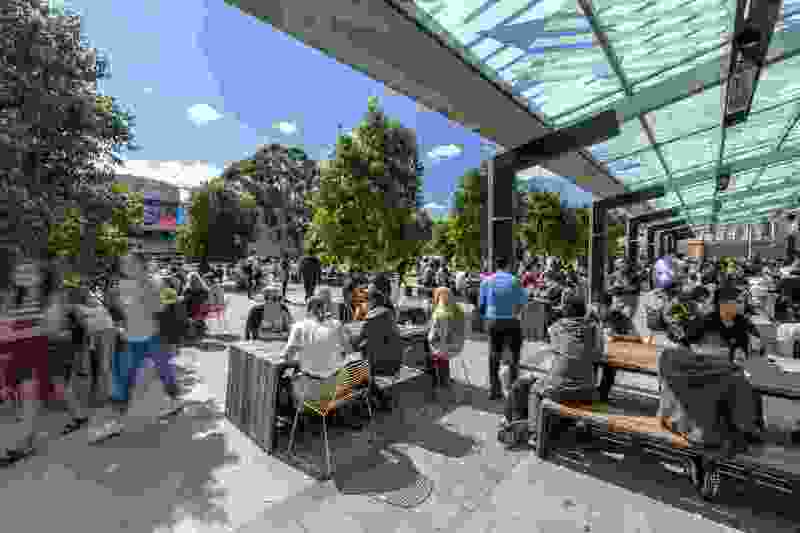 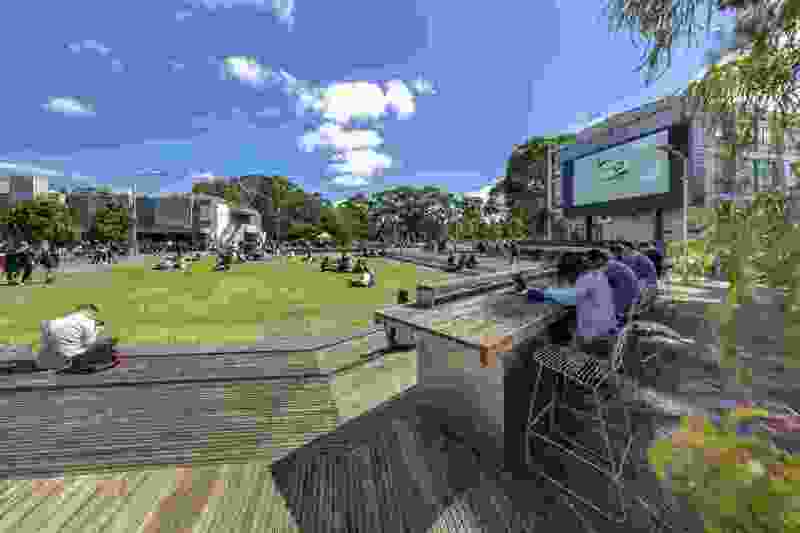 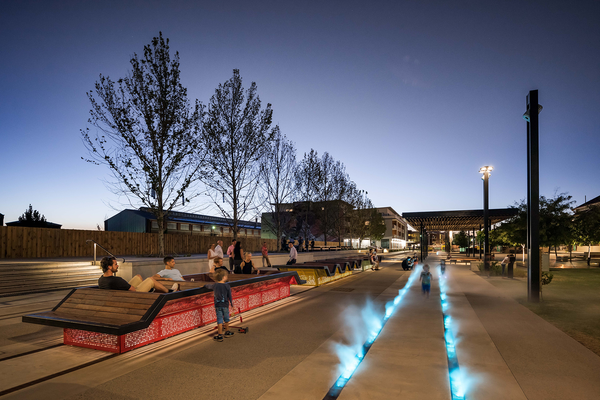 Within a 75 x 75 metre frame, Northern Plaza hosts alfresco dining under a leafy canopy, event lawns, BBQs, decks, long civic-scaled study desks, informal seating, terraces and linking promenades.